As electronics have become increasingly embedded in our day-to-day, the manufacturing process for printed circuit boards (PCBs) has adapted. Electronics have become smaller and smaller, and the PCBs that go in those products have had to shrink to keep up. The demand for tiny PCBs has led to a drastic increase in the use of surface mount technology (SMT) -- which has taken over the traditional through-hole manufacturing process that dominated electronics into the 1980s. 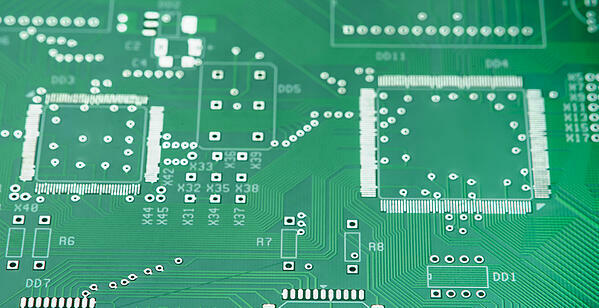 There are many advantages -- and a few drawbacks -- to surface mount assembly that are worth considering as you plan your own PCB manufacturing needs. While the smaller profile, lower cost, and increased efficiency of surface mount assembly are ideal for most applications, there are certain situations where the improved durability and higher power capacity of through-hole assembly is preferable. As the Internet of Things (IoT) grows with each new iteration of electronic devices (just look at all the “connected” stuff in your home), components continue to shrink. In turn, PCB layout needs to take up less space in the enclosure, too. Most new projects are migrating toward surface mount assembly. However, there are some situations where through-hole assembly makes for a better product. Let’s look at some of the main differences between the two methods. As the name implies, through-hole parts go through the PCB, which means holes have to be drilled through the board. Some boards can be skimmed by a machine to solder all at once, while others may need to be soldered manually point-to-point. Through-hole is more durable. Its inherent design traits mean components can’t be ripped off the board easily. Through-hole gives your product a strong mechanical connection, which means you can push more power through it. Some auto-placing of parts is possible, but cannot be done at the same rate as with surface mount. Through-hole is still sought after for certain applications, like extreme-use scenarios (military, high-stress, connection ports for cellphones). It’s increasingly difficult to find available components because so few products use through-hole anymore. Electronics components suppliers create parts based on demand, and the demand simply isn’t there these days. You can drastically reduce the amount of space you use on the PCB. The pad and parts sit on the surface of the board. To perform SMT assembly, your contract manufacturer takes an unpopulated board and screens solder paste, just like you’d silkscreen a T-shirt. Your manufacturer places blocks on paste in a stencil, then puts the board in a reflow oven so it melts. When it cools, it hardens to make a solder joint. This technique is machine-intensive, which means you can place parts faster and hopefully more accurately because human error is not an issue. What would take 1-2 hours on a through-hole board may take 5-10 minutes with SMT. It’s easier to find parts for SMT assembly, which means less lead time than with through-hole. This gives you major savings on labor costs. Through-hole should still be used on the board when necessary, as it is with many cellphone boards for power connections. Such a connector needs to be especially strong mechanically and have a high capacity for power transfer. Despite its superiority, SMT is typically most cost-effective than surface-mount assembly for a variety of reasons. It can be automated, it’s easier to find components -- because demand is high -- and you can produce at a much higher volume. The cost and speed improvements offered by SMT are undeniable. It’s the main reason designers are flocking away from through-hole. Testing methods do need to be adapted to test SMT boards. For example, if your electronics contract manufacturer doesn’t have x-ray testing capabilities, you may have a problem. As boards continue to shrink, we’re seeing technologies like ball grid arrays (BGAs) and QFN (quad flat no-leads package) devices incorporated. The idea is that you can save even more real estate if you put things underneath the board. But to test those kinds of boards you need x-ray capabilities. That way your contract manufacturer can inspect any joints underneath the board. Testing on through-hole boards can present challenges as well. For example, if the PCB is large or unique in shape, it might be harder to test. Specialized testing requires more labor and therefore a higher price. If your project sounds anything like what we just discussed, you may want to take it to a contract electronics manufacturer that’s well versed in PCB testing and design assistance. Can You Redesign Your Through-Hole PCB? At Matric, we’ve gone from 20% of jobs being SMT 20 years ago to 80-85% today. The through-hole work of today is mostly dinosaur projects meant to keep a product alive for legacy customers. 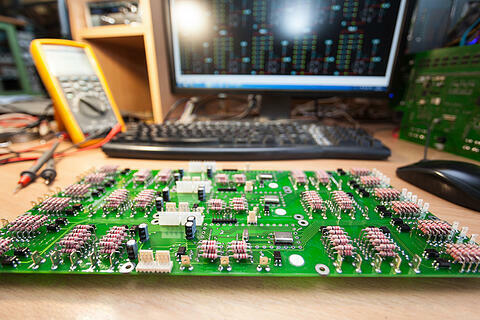 Redesigning an electronics product sounds scary, but so does becoming extinct. An experienced ECM can minimize the hassles of obsolescence for customers by moving them toward SMT PCB assembly services. Your manufacturer should help you design an SMT version of your current through-hole design. The right partner will save you money and frustration as it becomes ever harder to find through-hole components. If you have a through-hole PCB design you think is endangered, consider asking your provider of PCB layout services whether it’s capable of making the conversion.